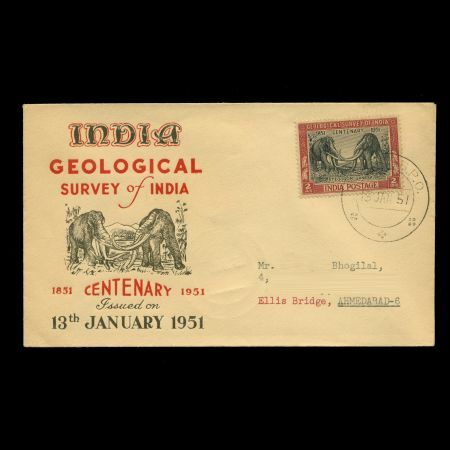 India 1951 "Centeray of Geological Survey of India"
On commemoration of Indian Geological Survey centenary on 13th January 1951 Indian Postage released The stamp shows two individuals of Stegodon ganesa, the first ever reconstruction of a prehistoric animal on a stamp.It was valued 2 Anas.Ana the olden Indian coin was in use before 1956. 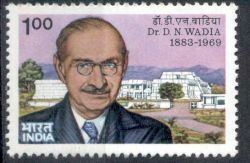 In 1956 Indian Government introduced Paise the hundredth fraction of Rupee the currency.16 Anas are equal to One Rupee. 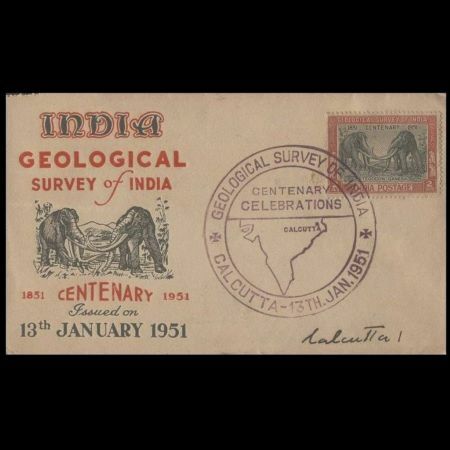 a found in India by Dr. Darashaw Nosherwan Wadia (October 25, 1883 - June 15, 1969) who pursued his personal research on stratigraphy, structure and palaeontology of the Kashmir Himalaya with single-minded devotion. 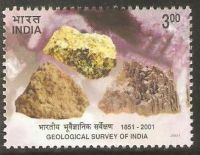 Having a very keen eye for observation, he worked towards identification of broad structural elements of the NW Himalaya. The fossil tusk is now kept at the Museum of the Geology Department of the Jammu University. The discovery of this skull, which was found in association with fossil ganoid fish and pteridospermous plants, led to the fixing of the age of an important geological rock formation in the Kashmir Himalaya to the Permo-Carboniferous time (355 - 250 million years). 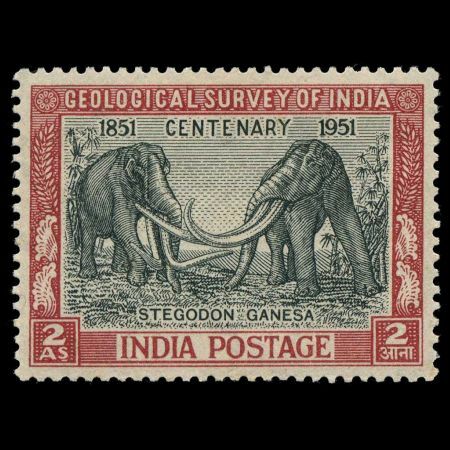 Stegodons are primarily an Asiatic group of mammutid origin, this family is believed to have evolved sometime by the middle Miocene, nearly 15 MY ago and became extinct by the late Pleistocene about 30,000 - 40,000 years ago. 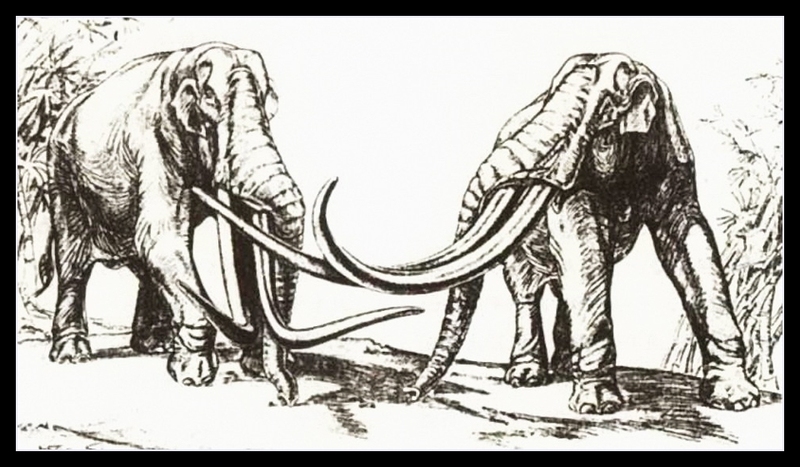 Stegodons appear to be transitional between true mastodons on the one hand and true elephants on the other.